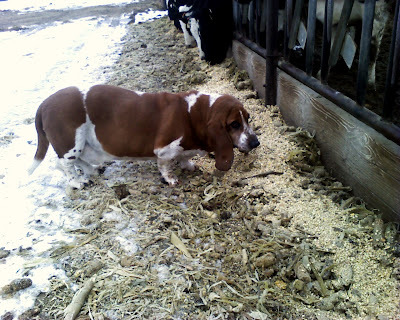 This is our dog Copper pretending to be a cow this past winter. When Ana came home from work today he was playing with our other dog in the back yard. When Josh checked on them after work tonight he was dead. I have no idea what happened. Last month, while I was at the state convention, Josh let Daisy and her last remaining puppy play in the front yard. They took off an we have not seen them since. I have advertised and searched for them with no luck. She has gotten loose before but always came home after a couple of hours or less. I am sure that someone took them. It has not been a good summer for dogs. I am not feeling well at all.